Klasse High Gloss Sealant Glaze is the ideal companion product for Klasse All In One Polish. 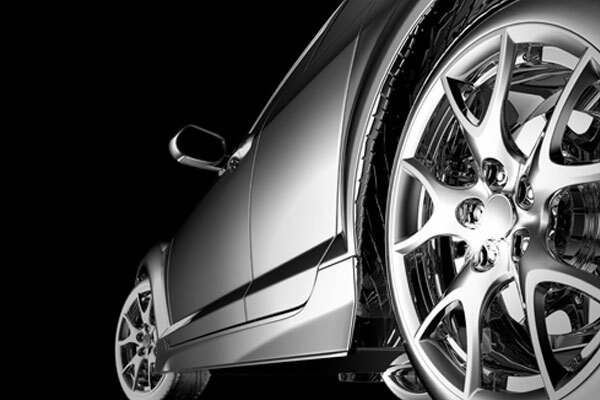 Its highly concentrated, non-abrasive acrylic formula provides an additional layer of protection with a deeper level of shine that will last as long as 12 months. 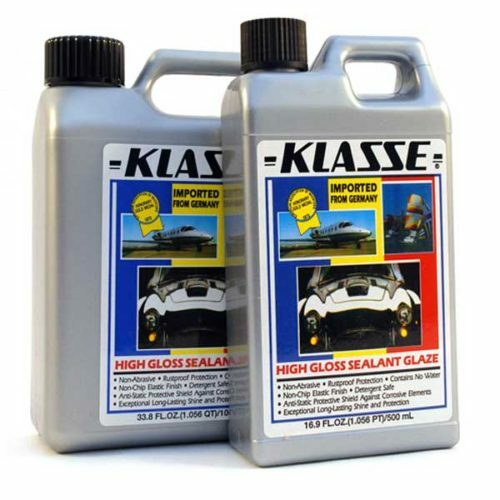 Klasse High Gloss Sealant Glaze is recommended for use on cars that are clean and free from defects, and that have, ideally, been treated with Klasse All In One Polish prior to application. 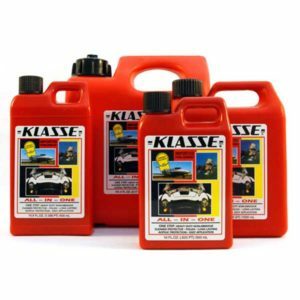 Klasse High Gloss Sealant Glaze blankets paint in a heat and scratch resistant layer that is elastic and protects the surface from ultraviolet rays, acid rain, salt water, industrial pollutants, and other airborne contaminants. High Gloss Sealant Glaze is shrink-proof and resists chipping. The anti-static formula resists dust to keep the surface looking cleaner longer. 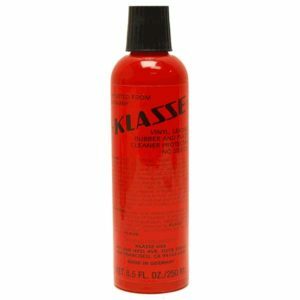 Just like All In One Polish, Klasse High Gloss Sealant Glaze is versatile enough for use on all non-porous surfaces. 10 oz., 16.9 oz., 33.8 oz.